This is a solid hunt for good 135-150 class bucks with some 160-175 type bucks. Wyoming mule deer hunting doesn't have to break the bank! These hunts are almost exclusively spot and stalk with opportunity for ambush set ups. Opportunity rates are near 100% with the average bucks harvested being in the 135-150 range, with 160-170s being taken most every year. This area of Wyoming is loaded with antelope, which makes this a great combo for an additional fee, which will also add an extra day to your hunt. Pronghorn bucks average 12-15”. Rifle hunts take place Oct 1-14. This would also be a good corporate hunt. 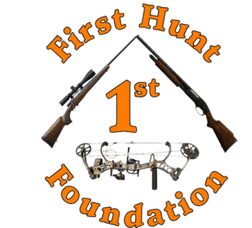 This is a great mule deer hunt for those just getting into western hunting, or for those looking to get their kids or spouses into hunting. With close proximity to great historical and sightseeing locations your hunt can easily be combined with a trip to Yellowstone or Mt. Rushmore for a great family vacation. We have hunted with many different outfitters and you will be hard pressed to find a better hunt with great people, a nice camp and game numbers that will keep you wanting to go back again and again. The crew knows where their game is and how to hunt them, whether blind hunting, ambush or spot & stalk they will do their very best to get you numerous opportunities and make your trip an adventure to remember. Hosts of Archer’s Choice and The Choice TV Shows.